For its first three versions, iTunes was just a nifty way to manage the music on your iPod. 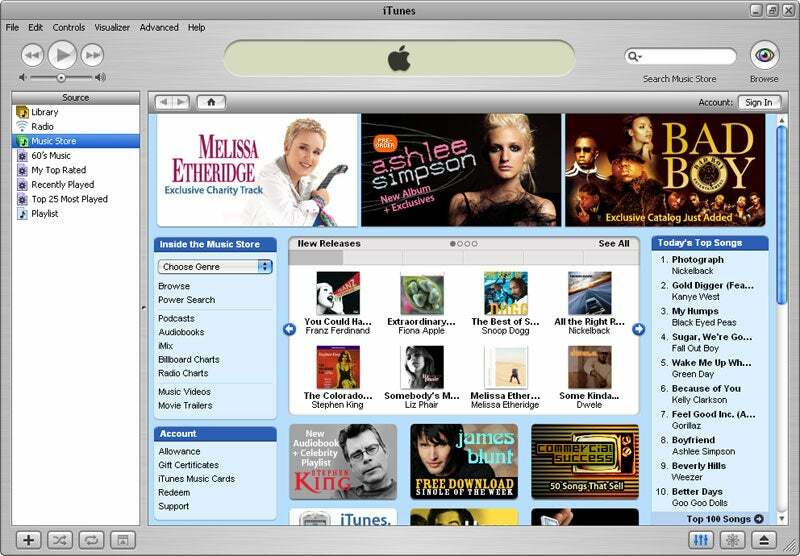 But on April 28, 2003, Apple changed the media world irrevocably with the launch of iTunes 4, which allowed users to purchase music from the iTunes Store for 99 cents a track. Despite vocal complaints over its digital rights management system--purchased music cannot be played on any portable player except for iPods and a few Motorola phones--the iTunes Store has set the standard for online music sales, initiating the move away from physical media for both music and video entertainment. So far the company has sold more than 2 billion tracks. The latest version of iTunes is in PC World's Downloads. A monochrome screen, a four-way control pad, and two action buttons used to be all it took to entertain kids for hours on end. The original Game Boy may look primitive by today's standards, but consider the state of handheld gaming prior to then. Two words: Mattel Football. 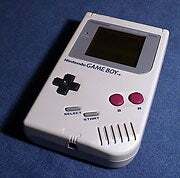 Through a whopping nine versions, the Game Boy has gotten progressively smaller, while Nintendo's hold on the portable gaming market keeps growing larger. Now mutated into the Game Boy Advance, more than 188 million Game Boys have been sold throughout the years, making it easily the most influential portable gaming device ever constructed. Before broadband, and before the ubiquitous writable CD, there was the Zip disk. If you regularly dealt with files larger than a few hundred kilobytes, you invested in a Zip drive, which used a super-floppy disk of sorts to hold 100MB (later 250MB and even 750MB) worth of data. The Zip was fraught with technical problems (the "click of death" being its most infamous), but during the latter half of the nineties, you really had no other choice. (What, you were going to buy a SyQuest cartridge? Please.) Look through your desk drawer, and we wager you'll find at least one of Iomega's iconic squares collecting dust. When Patrick Kolla saw that Windows was vulnerable to an increasing number of threats that antivirus software wasn't catching, he decided to do something about it. 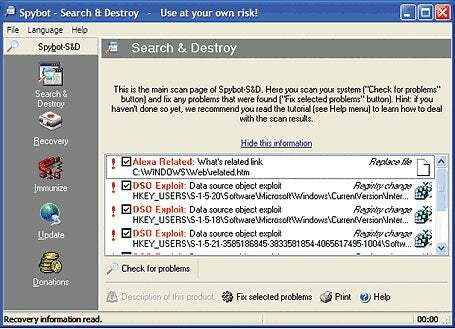 The result was Spybot Search & Destroy, a free program that pioneered the original class of antimalware applications. Spybot endured its share of controversy and jealous looks from the competition--Symantec maintains that Spybot S&D is "incompatible" with its Internet Security product--but despite that, Spybot remains a must-have part of any security toolkit, and you can get the latest version in PC World's Downloads. The very first 386-based PC came not from IBM, which invented the x86 computer, but from upstart rival Compaq. The company had been a thorn in IBM's side since it introduced the Compaq Portable in 1982, having painstakingly reverse engineered the BIOS on the IBM PC. By 1986 Compaq was actually ahead of the game, launching the Deskpro 386 before Big Blue, and undercutting it in price while garnering rave reviews. The clone wars had begun, and the 386 was the machine that brought the cutthroat PC market into the modern era. In 2002, Hewlett-Packard swallowed up Compaq--but it continues to market machines under the venerable name.